Shadow IT is a term often used to describe IT systems and IT solutions built and used inside organizations without explicit organizational approval. It is also used, along with the term "Stealth IT," to describe solutions specified and deployed by departments other than the IT department. Today, in many organizations, cloud adoption—particularly with public cloud services—is being driven by line-of-business units, departments, and individuals. The resulting "cloud sprawl" raises significant issues for IT in terms of enforcing consistent policies for compliance, as well as providing consistent lifecycle management and support services. Althought Shadow IT is being bandied about as a new phenomenon, it's not. So let's take a walk down the IT memory lane. In the early 80's, people like me (who are of, ahem, a 'mature' age) witnessed the advent of the personal computing age. I can recall some of my co-workers lugging in their Apple II's, TRS-80's, Amigas, and a whole host of other PC's that now line the halls at the Silicon Valley Computer Museum. They'd connect their dot matrix printers and would soon start clattering off loads of documents -- while the rest of us continued hand-writing our documents and waiting patiently for the Wang operator to create ours. We marveled as fellow engineers created complex mathematical models using spreadsheets, no longer fighting over the sparse terminals in the computer lab. 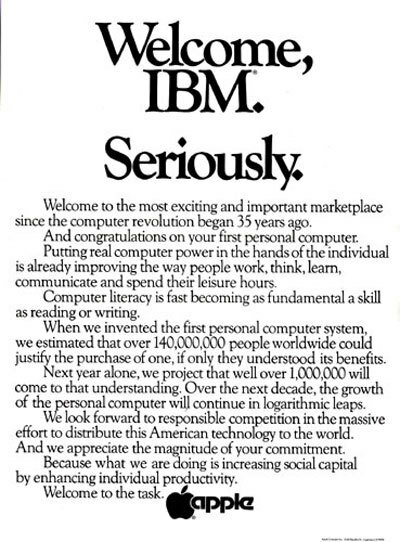 And then IBM introduced the PC, which was the first step in mainstreaming this technology in the eyes of corporations. Soon we were all fighting over centralized pods of PCs, transferring files to each other with "sneaker net." Then IT started connecting them together in networks, which then beget client/server computing. In the early 90's we started playing with Mosaic, which opened up a whole new world of resources that we consumed through our blazingly fast 14.4KBS dial-up modems via services like Compuserve and later AOL. In 1995, Netscape did their IPO and by then most companies were launching their first brochure-ware websites and we were all marveling over our Netscape Navigator web browsers. Shadow IT is considered by many an important source for innovation and such systems may turn out to be prototypes for future approved IT solutions. On the other side, shadow IT solutions are not often in line with the organization's requirements for control, documentation, security, reliability, etc., although these issues can apply equally to authorized IT solutions.